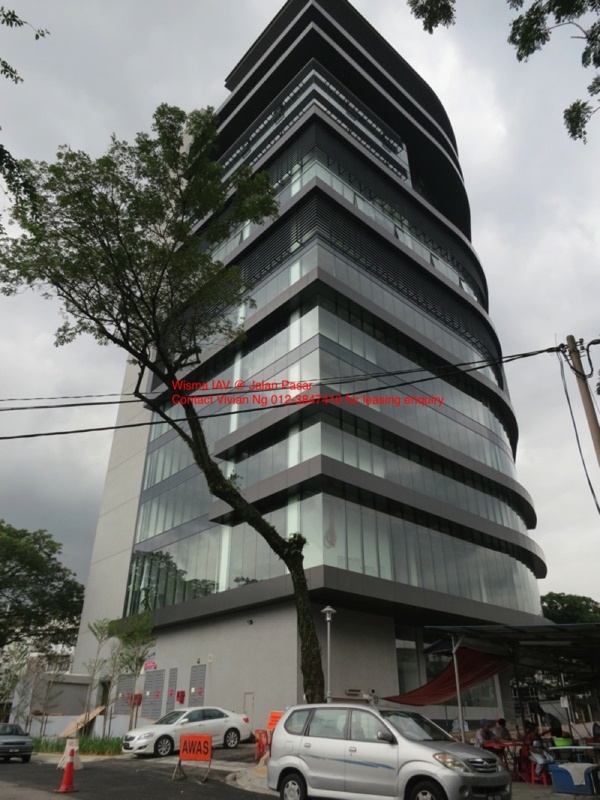 Address: Wisma IAV, Jalan Pasar, 55100 Pudu, Kuala Lumpur. Gross build up: 223,000 sq.ft. Net lettable area: 100,000 sq.ft. Typical Floor area: Approx. 14,000 sq.ft. Double level semi-automated mechanical car park system in the basement for tenant and visitors. Ground & 1st Floor 12,200 sq.ft. – Suitable for Audio Video Business, features latest products and technologies in AVL and ELV industry. Refer to attached floor plan and brochure for more details. Rental Price: RM3.50 – RM20 per sq.ft. Currently waiting Certificate of Fitness for Occupation (CFO), expecting 1st quarter of 2014. Contact May 019-3033311 or Vivian 012-3847410 and Izzati 017-3686015 for more details.